Since 2006, Matt Eich has been photographing the people of Southeastern Ohio as they attempt to recover from the aftermath of extensive extractive industry. Once known for its bounty of coal, salt, clay, and timber, the region was stripped of its natural resources by the mining corporations that thrived there between the 1820s and the 1960s. With nothing left to extract, the corporations pulled out, leaving the communities with little economic opportunity. Rampant unemployment, poor housing conditions, drug abuse, and sub-standard schools have left many families here in crisis. At the outset of Eich's project, Athens County, one of the poorest counties in the state, had a poverty rate of 27.4 percent and a per capita income of just $14,171. With the subsequent economic downturn, these numbers have only gotten worse. 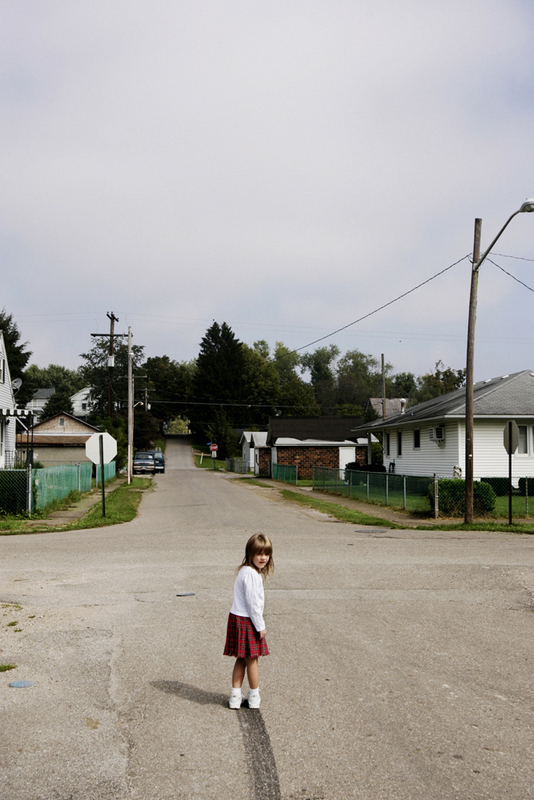 "Carry Me Ohio" is a poignant document of the daily struggles of people in this region. A one-time resident of the area, Eich suggests that his series "is not only a story of social and historical significance, it is also a very personal story about my connection to a place and its rough and resilient people that have been so integral to my coming of age as a person and an artist." Born in 1986, Matt Eich studied photojournalism at Ohio University, where he was named College Photographer of the Year in 2006. As a freelance photographer, his images have appeared in numerous publications, among them Newsweek, Mother Jones, TIME, Smithsonian, The New York Times, and National Geographic. Eich's work has been exhibited widely, including at the Griffin Museum of Photography, the Museum of Fine Art Houston, and in a solo exhibition at the Houston Center for Photography, where he was also awarded the 2010 HCP Fellowship. He was included in Photo District News's 30 Photographers to Watch in 2010, Magenta Foundation's Flash Forward 2007 Emerging Photographers, and Photolucida's 2008 and 2010 Critical Mass Top 50. A founding member of LUCEO Images and former intern at Portland's Oregonian, Eich currently lives in Norfolk, Virginia.